I finished James Joyce's Ulysses last night, after months of reading (breaks for other books included). After putting it down, I opened my laptop and realized I'd just finished one of the most famous banned books of the 20th century during Banned Books week. It was a coincidence, but it still prompted me to do some research about the history of the book. Ulysses was published in 1922, but it wasn't until 1933 that U.S. courts lifted a ban on the book, according to an archived article from the December 7, 1933 edition of The New York Times. The article states that the book was banned by customs censors, "on the ground that it might cause American readers to harbor 'impure and lustful thoughts.'" 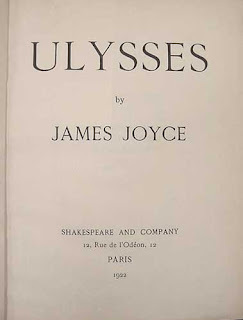 By today's standards, although there are some memorably racy scenes in Ulysses, the book is relatively tame compared to contemporary pop culture—an average episode of Law and Order or Dexter includes more graphic violence and sexual content (in HD, of course) than any scene from Joyce's work. The New York Times article summarizes Federal Judge John M. Woolsey's decision to lift the ban, quoting him as saying, "If one does not wish to associate with folks as Joyce describes, that is one's own choice." Interestingly, this article was written two days after the repeal of Prohibition, another ruling that champions individual liberty. The banning of Ulysses, like Prohibition's ban on alcohol, did not stop many Americans from procuring and partaking in the work. 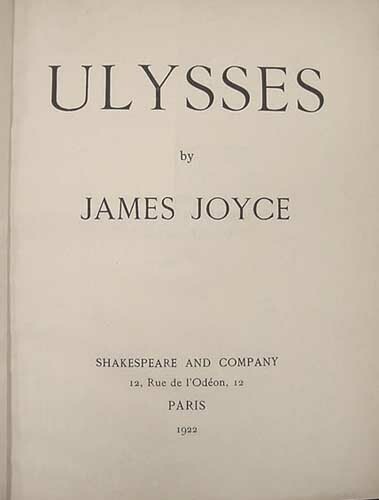 The James Joyce Centre describes not only the confiscation of the book upon its publication, but also adds that some Americans simply bought copies while in Paris, then smuggled them home. Also similar to Prohibition, the James Joyce Centre argues that the ban itself "piqued people's interest in the book, creating still more demand for 'illicit' copies of the book." Despite its initial banning, the legacy of Ulysses in America is one of reverence. 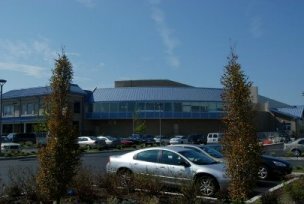 Random House's Modern Library lists it as the best novel of all time, and critics have argued over its merits for decades. And, of course, it's on our shelves here at the Ocean City Free Public Library.